Photo by Knott’s Berry Farm, celebrating their 75th anniversary this summer! “Hey kids, do you like animals?” This was the question we got from one of the Mayfield brothers hanging out at the Boot Hill Hideout, deep in the heart of Ghost Town. “This here is the brand on the side of the horse that I may just want to use for a quick getaway! Can you go look and see if he is in the stable?” With that, we were off and away on our adventure in Ghost Town at Knott’s Berry Farm. 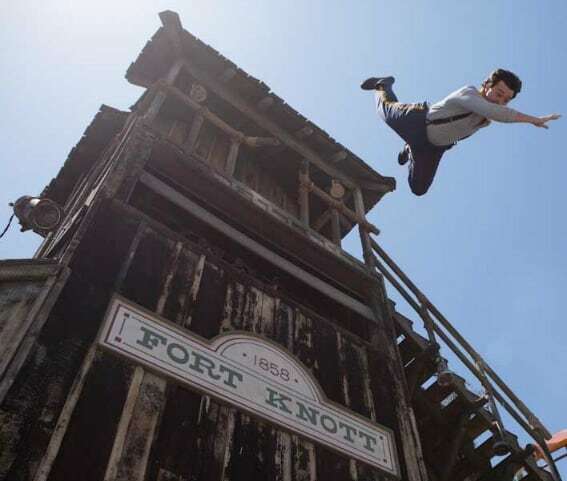 It’s been 75 years since Mr. Knott created this fun adventure park and to celebrate, Knott’s has made Ghost Town come alive. For the first time in 75 years, you can step inside and explore the legendary shops and buildings of Ghost Town. 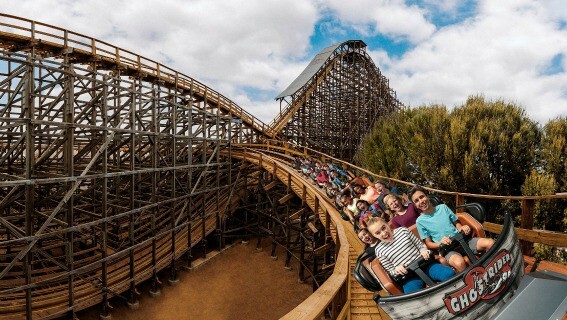 Knott’s Berry Farm, with it’s thrilling roller coasters, live entertainment, and family rides, is a great vacation destination – or one of those places that SoCal locals need to visit again to see how special it is during it’s 75th anniversary celebration, taking place through September 5, 2016. 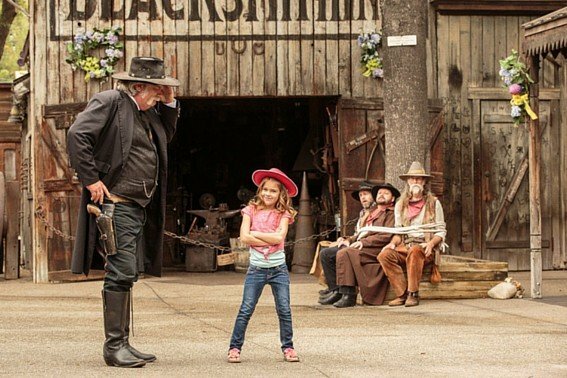 Here are 10 reasons why Knott’s Berry Farm is your next family vacation. Related: Explore Buena Park, home of Knott’s and family-friendly fun. 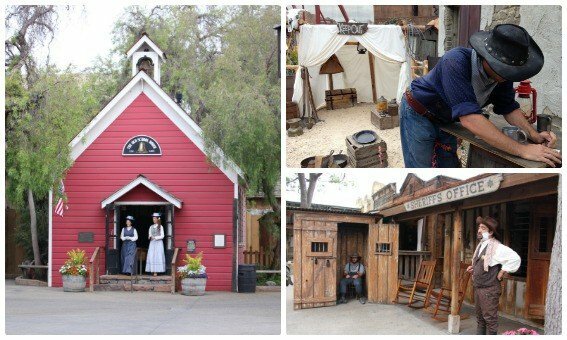 Step back in time at the old town of Calico and meet its famous residents – alive for the first time in history! The residents are hanging out in the shops, tavern, City Hall, sheriff station, bank, jail, and just about everywhere, waiting to tell guests a story or let them in on some town gossip. Stop by the barbershop to get a mustache applied and then get sworn in as a citizen in City Hall so you can vote for the mayor. Kids may get an old-fashioned lesson in the schoolhouse or get to send a message via Morse code from the bank teller. Meet the horses that take riders on the stagecoach around the park in the Livery Stable and then stick around for the evening hoedown and kick up your heels with the townspeople. It’s no longer a boring Ghost Town to run through to the next roller coaster – it’s alive with entertainment, stories, and fun you don’t want to miss! The first 108-foot-drop sets the stage for this absolutely thrilling ride. Known as the longest, fastest, and tallest wooden roller coaster on the West Coast, GhostRider lives up to the hype of sheer thrills and is now one of our favorite coasters. Thanks to a complete wooden re-tracking, the ride is smooth and fast and no longer intensely jerky. I was crying at the end out of sheer joy- plus the wind was flying in my face. We couldn’t wait to go again! Families have been enjoying fried chicken and biscuits with boysenberry jam since Mrs. Knotts opened her restaurant in 1941. 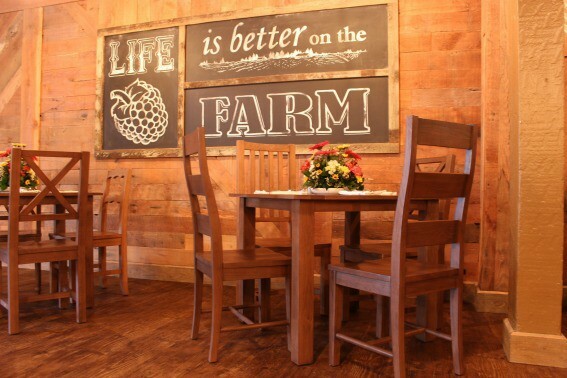 The recipes are the same but the dining rooms have been overhauled and remodeled. Although my favorite Garden Room with small fountain is gone, a Western Farmhouse dining space with high ceilings, benches for families, and outdoor patio seating is my new favorite. No longer do guests need to wait in a long line for a table, but rather a large entrance welcomes guests with notification by text or buzzer when it’s time to be seated. Mrs. Knott’s Chicken Dinner Restaurant will continue to be a favorite for families with some of the best fried chicken in Southern California. 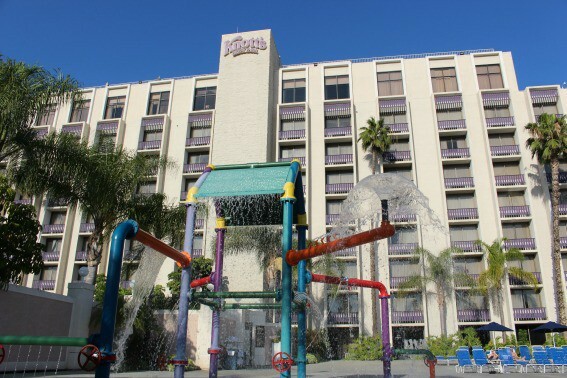 Even some SoCal natives don’t know that there is a Knott’s Berry Farm Hotel – but it is the perfect spot to stay when planning a day, weekend, or full vacation in Buena Park. With eight floors of guest rooms and a huge swimming pool with a splash pad, families will enjoy the relaxing atmosphere and fun. Snoopy is there to greet guests with his playful dog ears and kids can eat free at Amber Waves. The hotel restaurant serves all-American burgers, steaks, french fries, pizzas and more. With just a very short walk from the gates to Knott’s and all-day parking included with the stay, the Knott’s Berry Farm Hotel is the perfect place to rest from a day of thrills and fun. 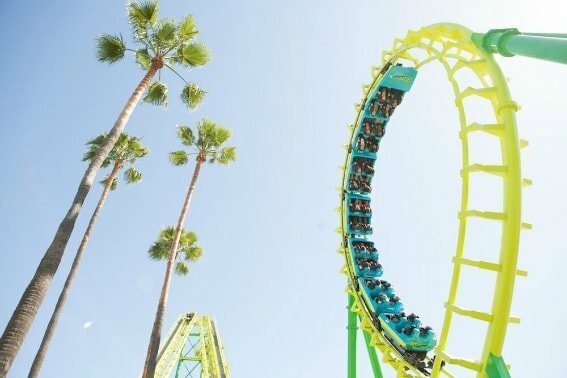 With eight “aggressive-thrill” roller coasters, three additional thrill rides, and a brand-new 4D ride, Iron Reef, Knott’s is one of the best theme parks in Southern California to ride intense coasters. Scream as you rocket to 82 mph in 2.3 seconds on Xcelerator, dangle your feet as you rocket around the park on Silver Bullet, and fly forward and backwards on the six loops of Boomerang. Brave kids and teens love screaming as they drop from one of the tallest thrill rides, Supreme Scream. The entire day can be spent enjoying these amazing roller coasters and thrill rides. Snoopy, Charlie Brown, Linus, and Lucy love inviting their friends, young and old, to their woodsy camp, filled with fun and gentle rides. Kids can push and pump little mine cars around a track, pilot a Sopwith Camel plane with Snoopy, or ride a gentle “roller coaster” on Timberline Twister. 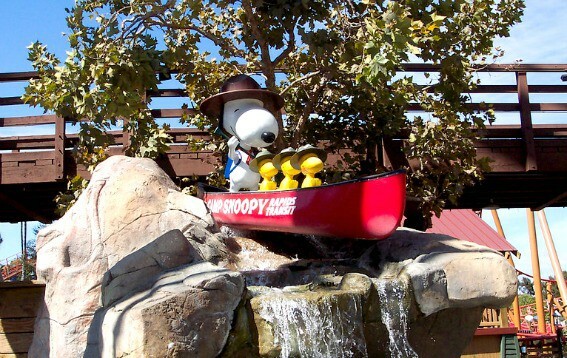 The Camp Snoopy Wilderness has its own beautiful restaurant and plays host to character visits, live entertainment, and special treats throughout the day. Wondering what parents who have been there say? 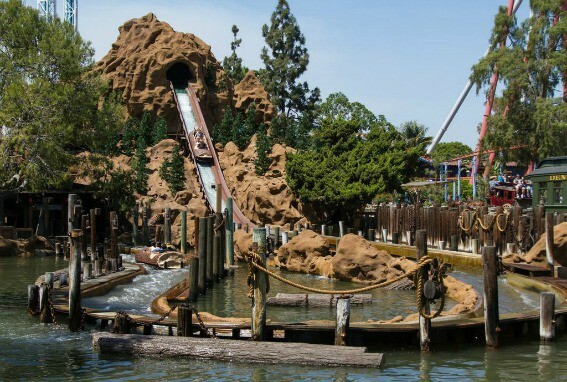 Read reviews of Knott’s Berry Farm. Strike it rich with gold lurking in the water waiting to be panned near the queue for GhostRider. Kids will get a thrill of finding the shiny flakes as they learn what it took to be a miner during the gold rush of California. The blacksmith will be striking his iron on his anvil demonstrating the craft of historic metalworking. Stop by this shop to learn what it takes to bend iron and all the uses for that important metal during historic days. The schoolteacher is ready to give a lesson and let kids learn the skills needed to survive in the days of the old west. It’s learning while being entertained – the best kind! It’s all fun and games until someone gets shot at the Wild West Stunt Show at the historic Wagon Camp theater. Get there early to secure some shaded seats in the wagons at the back and be prepared for some wild fun. A story unfolds with bad guys, good guys, the guy trying to get the girl to fall in love with him, and some banjo playing mixed in. During the summer months, be sure to get seats in the Charles M. Schulz Theatre for the dazzling ice skating antics of Snoopy, his friends, and talented athletes. It’s amazing to see the spin, jumps, and dances on the small circle of ice as the Peanuts gang bring Hollywood to life. Tip: Heading to Knott’s during the Christmas holidays? Don’t miss the Christmas edition of Snoopy on Ice, classic Christmas live theater including The Gift of the Magi, and retelling of the biblical Christmas story. Timber Mountain Log Ride and the Calico Mine Ride have been delighting kids and families since 1960. I have very fond memories of straddling the log shaped boats of the Log Ride and being a bit scared at the big drop as a child. 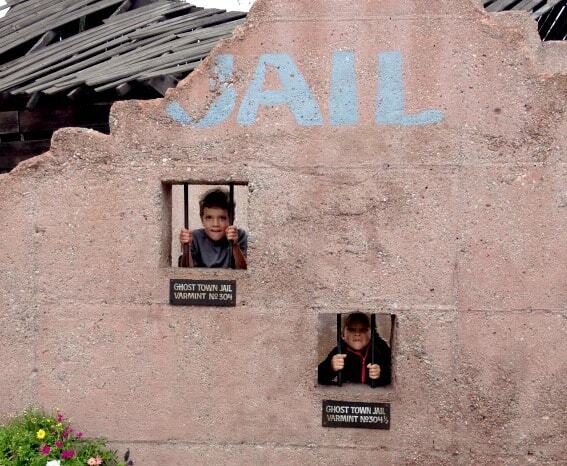 My teens still enjoy the Calico Mine Ride- especially because it was one of dad’s favorites. You’ll climb into a hand-painted mine car pulled by an ancient locomotive to journey through a working gold mine; the gentle thrills and fun stories come to live with refurbished animatronic characters and improved lighting in the Calico Mine. The thrilling 50-foot drop of Timber Mountain Log Ride with the huge splash at the end, still make it one of our favorite rides. 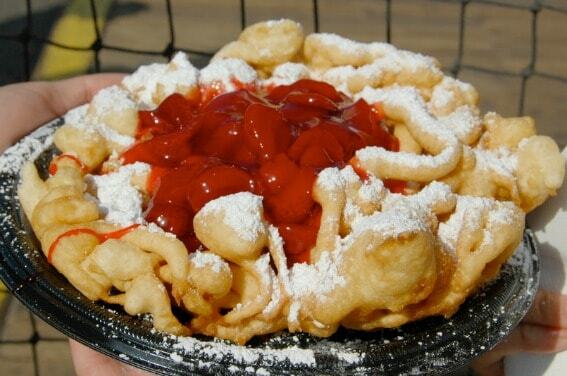 Boysenberries – that is what started this whole theme park! It seems strange that a berry would be associated with roller coasters but when Mr. Knott developed this delicious hybrid and people flocked to his farm, a Ghost Town and theme park grew from his imagination. Boysenberry topped funnel cakes, stuffed churros, and boysenberry jam at Mrs. Knott’s Chicken Dinner Restaurant are a must. But if you must try something else, delicious Mexican food in Fiesta Village, Johnny Rockets burgers, and giant cinnamon rolls from the Ghost Town bakery await. The Calico Saloon is now and serving boysenberry beer, sarsaparilla, popcorn, and snacks all while dishing out some lively entertainment during the day. Disclosure: The author was hosted for a complimentary visit to experience the new encounters in Ghost Town for Knott’s 75th anniversary. She was not required to state any particular view; all opinions are her own.